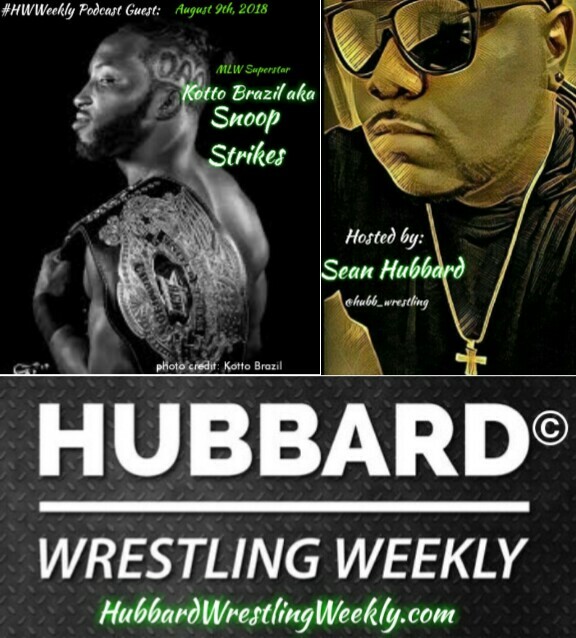 On this episode of the Hubbard Wrestling Weekly podcast, we had a chance to sit down and speak with Florida native and current Evolve & MLW Professional Wrestling star Snoop Strikes. During this interview, the man also known as Kotto Brazil speaks about his influences in life/wrestling, being trained by current Ring of Honor World Champion Jay Lethal and much more. This was an awesome interview, so make sure you click that “play” icon and enjoy the words of one of the brightest stars in the pro wrestling industry today, Snoop Strikes.